Since it's fresh on my mind, I wanted to share with y'all (what I hope is) a helpful packing list for a ski trip -- for both adults and kids. I have grown up skiing, but it had been a hot minute. 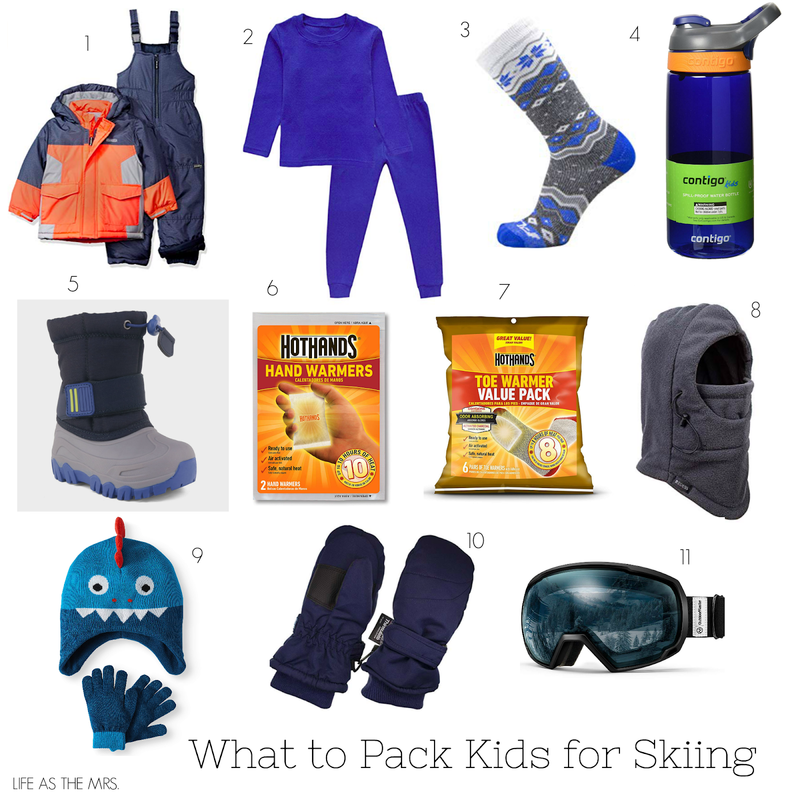 And so when it came time to pack myself, my husband and my kids for our ski trip, I had to take to Pinterest for a little ski trip packing refresher. Some things we used, some things we didn't...so I wanted to make a list for y'all that worked well for us. 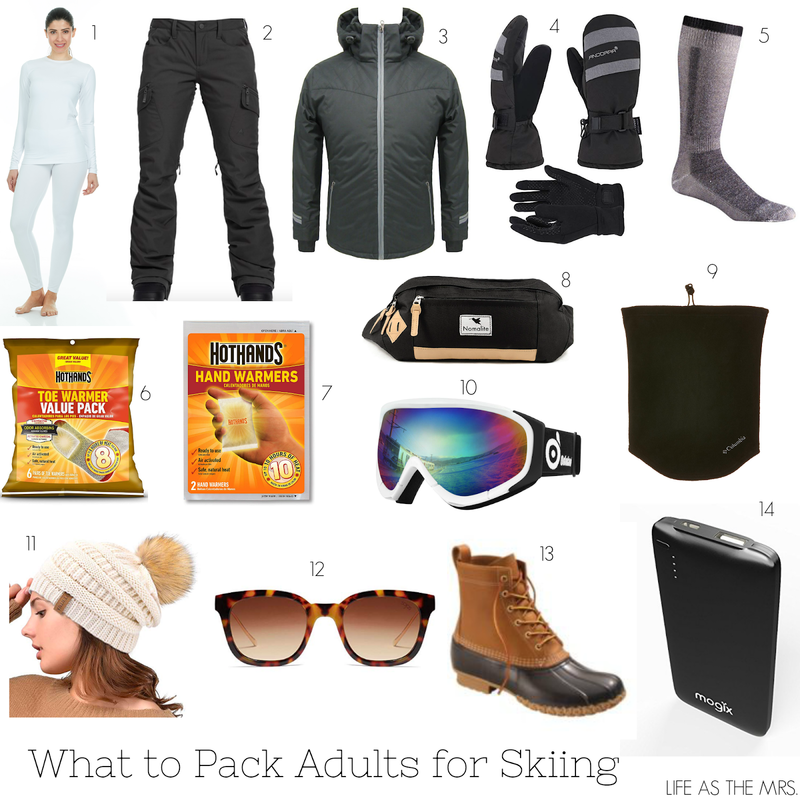 Before I get into why I liked each of the above items, I wanted to share with you how Brandon and I got dressed each morning for the slopes. We would each put on our undergarments (obviously), followed by ski socks, long johns (tops and bottoms), a long-sleeved T-shirt (any type will do; we wore Baylor shirts), ski pants, a toboggan/gaiter (Brandon wore a toboggan and this face mask), helmet (we rented ours), goggles on top of the helmet and sunglasses to wear to the mountain, glove liners, ski jackets, mittens (or gloves), and duck boots. Once we were on the mountain, we would swap our duck boots for ski boots, skis and poles, switch our sunglasses for goggles and pop in/on the hand and toe warmers. We did this exact same system with the boys, except they wore bibs vs. ski pants. I purchased these fleece-lined long johns from Walmart of all places, and they were by far my favorite! They kept me so warm and the price point was perfect. They also held up great in the washing machine and dryer. I tried these ski pants on at REI, then came home to see if evo.com had them for cheaper and of course they did! So I ordered them and loved them. They held up well skiing, kept me warm and were big enough at the bottom to accommodate my ski boots. I bought this ski jacket (in blue) from Sun & Ski Sports and really enjoyed it. My mom always dressed her kids in bright ski jackets so she could keep track of us, and so I tried to follow in that same pattern with my bright blue one (and an orange one for Walker). This jacket had plenty of pockets, was warm and worked well in the snow. I am normally a S but sized up to a M in this and I'm glad I went with the larger size for more room. I personally really like mittens when I ski because I feel like they keep my fingers warmer than gloves, but I will admit that they're difficult to really do much with. Brandon bought gloves that came with glove liners, but I just used a set of thin fleece "technology gloves" from Old Navy and they worked out just fine. Either way: use liners because you'll need them! We both tried to go without the first day and our hands were freezing. Ski socks are a must! They're thicker than normal socks and keep your feet warm and dry. We bought these and they worked out just fine -- of course, my feet are always cold (even at home in the hot Texas summers) so they were cold there, too, but they did their job! Speaking of cold feet, we bought these Toe Warmers that have adhesive to stick to the soles of your feet (and cover up to your toes) and we were really impressed! They don't last for hours upon hours, but any heat on your toes while they're stuck in ski boots is helpful to me. Never would I ever think I'd don a fanny pack (I think I still have nightmares from the 90's! ), but alas, here I am. I bought this one because it was somewhat fashionable, but I ended up really liking it for functionality. It had plenty of zippers, which was a must. We pack our lunch when we go skiing (a sandwich, chips and some sort of fruit) because it's simply highway robbery how much resorts charge for a meal on the mountain! Anyway, it held our lunch, my Chapstick, tissues, external battery (which I'll get to in a minute), and any small layers I needed to shed throughout the day. A neck gaiter is a must for me! Brandon prefers to wear a mask, but I liked to wear my gaiter on my neck and pull it up under my goggles, tucking it in. It kept me nice and warm on my face, which is hard to do when you're flying down the mountain. Goggles are also a must for me! It's so bright on the mountain that I can't see anything without mine, and I love that these just hooked right onto the back of my helmet and I didn't have to worry about re-adjusting them throughout the day. I bought this beanie to take with us on our recent trip and I love it! It's so cute and fashionable, and I love that the little puff is interchangeable. I would just pop it off and wear the beanie itself beneath my helmet and it kept me perfectly warm. I also wore it off the slopes with the puff on (or as Brandon called it, "the muskrat") and it was so cute! Cheap sunglasses. Don't bring your Ray-Bans to the mountain; you'll lose them or someone will step on them in giant ski boots (not that I know anything about that...). Cheap sunglasses are a must! I bought these and love them! Brandon brought an external battery for our iPhones and I'm so glad he did! I think the cold weather just drained our batteries, and we'd get up to the top of the mountain (13 minutes later) to see our batteries in the red! Yikes! 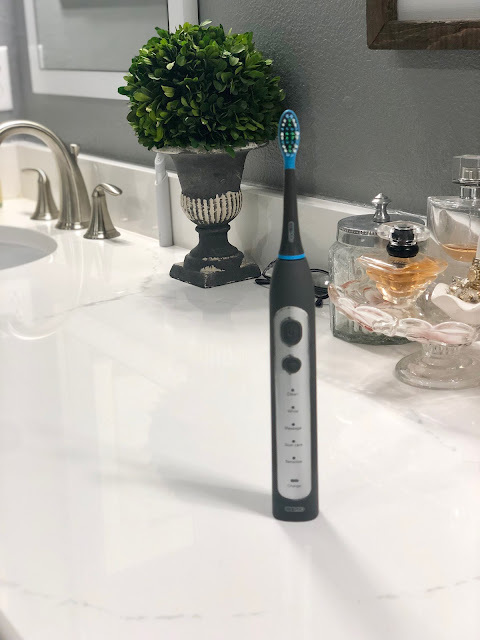 This was a huge help to us, as was turning our phones into low power mode and closing all the apps running in the background to save battery life. We bought the boys ski bibs + ski jacket combos from Amazon and were super impressed with the quality! I also bought Walker a bright color since I knew he'd be skiing with us and I wanted to be sure we could spot him flying down the mountain. I personally feel like bibs keep little ones extra warm vs. pants, which is why we got these for the boys. Long johns (like with adults) are a must with kids. You really want to layer them up so they're nice and warm. You can always shed layers, but you can't always add them! We liked these for the boys because they were thick without being too bulky or too hot. We found these ski socks and really liked them for the boys. They are thick and warm without being itchy. They also held up really well in the washer and dryer. Water, water, water! You need lots of water in higher altitudes, so we made sure we were all chugging water throughout the day and brought the boys' water bottles to ensure they were well hydrated to avoid altitude sickness. 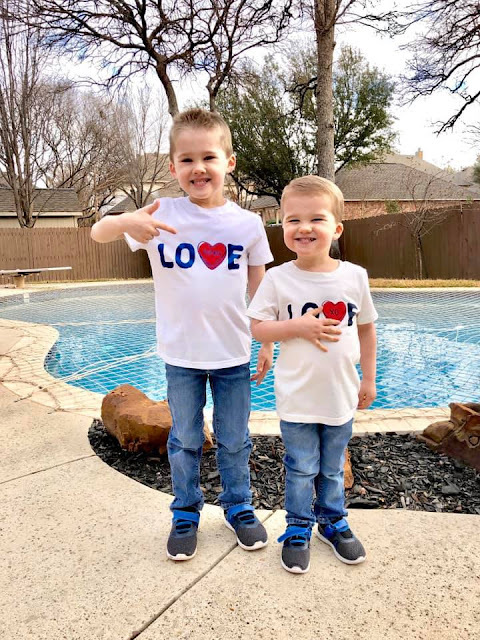 I found these all-weather boots for the boys at Target and was so glad I bought them for the boys. They wore them any time they weren't skiing and held up so well. They kept them warm and dry and we didn't have to hear any complaints about cold, wet feet. Same as above, we gave the boys Hot Hands Hand Warmers to take to ski school and Walker especially loved having them. Foot warmers were great to have with little ones! They kept their feet warm and we heard no complaints, so we were happy. I bought these fleece-lined masks for the boys and was so happy with them! We didn't have to keep up with a toboggan and a gaiter for them on the slopes, which was really nice. It kept them really warm and covered up so much of their face that they weren't cold. But, I did bring this toboggan and glove liner set with us. I used the liners beneath their mittens and the toboggan when they were off the slopes. It was really cold in Angel Fire when we were there, so I wanted their little heads and ears warm when we were going out to dinner, playing in the snow, etc. We bought these mittens on Amazon and were really pleased with their performance. Again, some people prefer gloves vs. mitten, but we like the mittens for the boys and me to keep our hands as warm as possible. Goggles were a must for us and the boys! I bought the kid version of the goggles I bought for Brandon and me for the boys and they were perfect! They didn't fog up and they kept our eyes protected from the sun (without any squinting) and snow. LipSense (y'all, I loved having this and not having to re-apply lipstick (or carry it around!) when I was there! *Some affiliate links used. Thanks for supporting this blog! Hey friends! We are back from an amazing family ski trip to Angel Fire, New Mexico. We had a great time and it was nice to get away from it all for a week, but of course, it's always wonderful to be home. 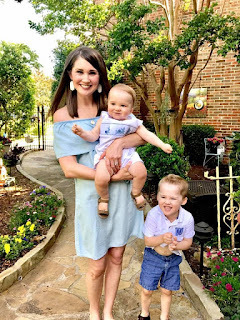 I wanted to share a little vacation recap for y'all today and I'll be back later this week with my must-pack items for a ski vacation. My family grew up going skiing in Angel Fire. We would typically drive, but since Brandon travels so much for work, we have miles and need to use them, so we flew from DFW-Santa Fe, New Mexico, rented a car, and drove to Angel Fire. We took Brandon's parents with us this year. My grandparents have a place in Angel Fire, so that's where we stayed. + We were up bright and early and headed to the airport for our flight to Santa Fe. The boys did great on the flight (even though American bumped us from row 9 to row 19 with no windows -- eye roll). But the pilot and flight attendants were so kind and let the boys get up in the cockpit when we landed. + We explored Santa Fe and had lunch at La Plazuela inside the La Fonda Hotel. It was absolutely gorgeous and the food was the most delicious, authentic New Mexican food I've ever had! We all ordered the Enchiladas del Norte with the "Christmas" sauce and a smoky margarita and we kept talking about it all week long! + We then drove two hours northeast to Angel Fire after a quick stop in Taos for groceries. The drive is gorgeous and I'm so thankful no one got sick on that drive! + The boys got bundled up and played outside in the snow at the house! We were so thankful and excited that we had lots and lots of snow while we were there! It snowed every other day! I've been to Angel Fire when there's barely been any snow and they've had to make it on the mountain, so to have that much snow for our boys' first time there (and Knox's first time seeing snow ever) was really special. They dug a snow fort, made a snowman and snow angels and enjoyed just playing outside in the snow. My sweet little Texans were so excited! + We drove to Taos to explore there for the morning, and it didn't disappoint. Since it was President's Day, parking along the square was free, which was a nice treat. We walked in and out of shops and then had lunch at La Cueva, a hole-in-the-wall with delicious food! Again, we all ordered the Enchiladas NM with Christmas sauce and weren't disappointed. It started to snow just as we left, which the boys loved. + We skied! It was such a gorgeous, cold day and there was no one on the slopes -- a real treat. I hadn't been on skis in around 13 years and Brandon hadn't in about 10 -- and we had never skied together! So we really enjoyed that. And I didn't fall once! + The boys went to ski school at the Angel Fire Resort and we CANNOT SAY ENOUGH GOOD THINGS ABOUT IT! They were so good with the kids, so patient and were great teachers. Lunch and snacks, as well as skis, boots and helmet rentals were included in the price, which was a big help. The kids went to ski school from 8 a.m.-3:30 p.m. (Walker went three days to the "Lil Chiles" Pre-Ski School and Knox went two days to the Snow Bear Camp), so it gave us ample time to ski together and comforted knowing the boys were being taught by professionals. Brandon and I loved that they gave the kids GPS devices to wear each day for an added safety element, but we could also look at their progress online from the device at the end of each day; so cool! They also took photos of them and would email us each day with a link to those. Brandon's dad skied with us and his mom stayed in The Lodge by the big fireplace each day. Since the lifts didn't open until 9 a.m. and the kids had to be dropped off at ski school ay 8, we warmed up in The Village Haus and then were the first ones on the lift each day! Note: We rented our skis, boots, helmets and poles from Cottam's Ski Shops. + Knox didn't love the snow or skiing, so thankfully his ski school teacher let him do his lesson inside (after what I'm sure was a big meltdown). So he came home with me each day after lunch at ski school to play in the snow to get more used to it. I actually didn't mind skiing in the morning and then coming home to rest at the house with him in the afternoons! + Another gorgeous day of skiing! We went down more blues this day and had a fun day on the mountain while the boys were at ski school. Our favorite runs were I-25, Jasper's, Prospectors and Hully Gully. + The best naps are post-ski naps! Knox rested with me this day and we both were out like lights! + Walker went to ski school in the morning while I stayed home with Knox and Brandon and his dad skied. Brandon's mom watched Knox in the afternoon so I could go ski. We checked Walker out of ski school early to go skiing with him. He did GREAT! We went down the Dreamcatcher (AKA the bunny slope) with him a few times and then he asked to go up the bigger lift (Lift 2), so we did that and he went down a green a few times! He had zero fear and we were so beyond impressed! + We returned our skis that evening and Walker cried because he was sad it was all over. I don't blame him! + It was our last full day, so we took the boys sledding at the Angel Fire Country Club. They had a ball! The weather was beautiful that morning and we were the only ones there. Knox actually loved it (shockingly enough) and carried his own little sled back up the mountain over and over again. + We had lunch at El Jefe at the base of the mountain and again ordered chicken enchiladas (of course!). It was okay; not our favorite of the trip but still good. + This day was honestly pretty rough. We were supposed to fly home from Santa Fe-DFW, but got notice after waking up at 5:45 a.m. that our flight was cancelled. Thankfully we were able to re-book...but from Albuquerque-DFW -- a normally three-hour drive from Angel Fire plus a $40 fee to return our rental car to a different airport than the originating airport. The weather in Angel Fire was really bad, and we had to drive up over the mountain in fresh snow (it had snowed about 4-5 inches overnight) and unplowed roads. Brandon and I both agreed that it was the single most scariest drive we've ever made in our lives. + We then drove south to Albuquerque and were so thankful when we arrived there! We had lunch at Backstreet Grill in Old Town and absolutely loved it! We ordered the table side guacamole to start, and the boys shared the Backstreet Nachos, while Brandon got the fish tacos and I had the street taco trio. Absolutely delicious! + We then explored Old Town, had a coffee at Blackbird Coffee, and then headed to the airport. + We were ready to board our flight at the airport and once in line, were told we were delayed indefinitely due to high winds in DFW. We wanted to cry! This was around 5:30 p.m. Albuquerque time (6:30 p.m. Dallas time) and we were all just so tired, hungry and ready to get home. Our original flight was scheduled to arrive in Dallas at 1:30 p.m., so it was just hard to hear. We finally were able to take off around 6:30 and arrived in Dallas at nearly 9 p.m. our time. I sat next to this crazy lady who didn't shut up the entire time and kept trying to chat me up with my headphones in. I felt like Kevin McAllister on "Home Alone" when he's sitting on the plane and has to put on his headphones because the guy sitting next to him starts chatting in a foreign language. Ha! We finally got home a bit after 10 p.m. (THANK YOU LORD) and it was so nice to sleep in our own beds and have all day yesterday at home. So, even though the trip ended on a sour note, it didn't ruin the entirety of it. We had a wonderful time and can't wait to go back again. Happy Friday, friends! I hope everyone had a wonderful Valentine's Day! We had a crazy busy, fun-filled day yesterday! I got the boys donuts for breakfast, then they both had parties at school that I was in charge of (Walker from 12-1 p.m. and Knox from 1-2 p.m.), and then we had a family party at our friends Brittany and Caleb's house. Whew! It was a sweet little day, though. I love doing small things to make even a cheesy holiday a little more magical. I found the little plates in Target's Dollar Aisle! Walker got these jammies and this book. I found the little plate's in Target's Dollar Aisle! Knox got these jammies and this book. If you missed it on Wednesday, I shared a few before-and-after photos of our new foyer area. You can read that post here. 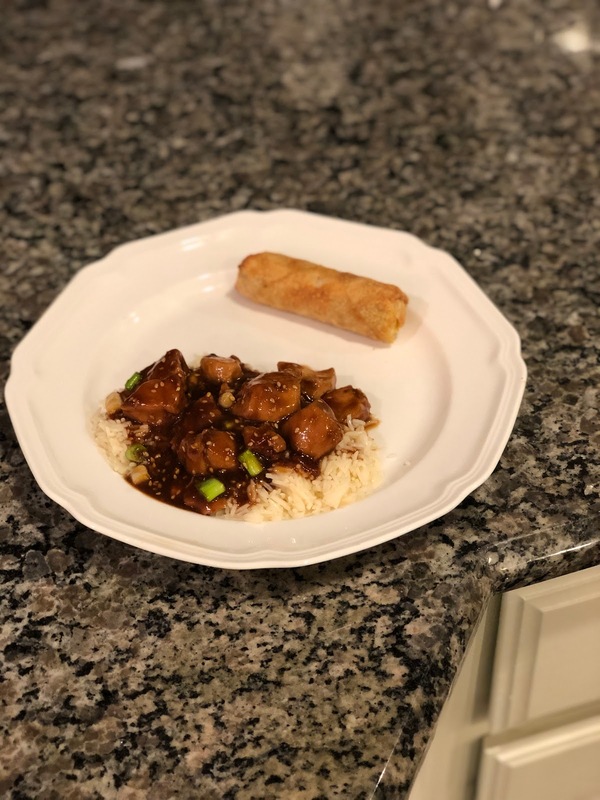 I made some really yummy recipes for dinner this week and wanted to share. I am absolutely no food photographer, as I'm sure you can tell. ;) We absolutely loved the Dijon-Maple Chicken with Brussels Sprouts and Butternut Squash and the Crock Pot Orange Chicken was also great, too (and out of my cooking comfort zone). Don't forget to enter my giveaway for the cariPRO Electric Toothbrush from Smile Brilliant! Smile Brilliant will choose a winner and will contact you directly. And if you don't win, they're offering all of my readers a 20% coupon code; just use brittanywhitacretb20 at checkout. Good luck! I'm taking next week off for a little trip, so I'll see y'all back here on Feb. 25! Have a wonderful weekend and great next week!